Macroscopic vs Microscopic Viewpoint : There are two points of view from which the behaviour of matter can be studied: the macroscopic and the microscopic. In the macroscopic approach, a certain quantity of matter is considered, without the events occurring at the molecular level being taken into account. From the microscopic point of view, matter is composed of myriads of molecules. If it is a gas, each molecule at a given instant has a certain position, velocity, and energy,and for each molecule these change very frequently as a result of collisions. 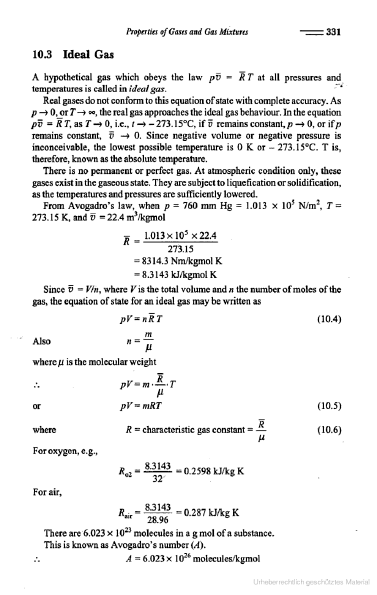 The behaviour of the gas is described by summing up the behaviour of each molecule. Such a study is made in microscopic or statistical thermodynamics. Macroscopic thermodynamics is only concerned with the effects of the action of many molecules, and these effects can be perceived by human senses. For example, the macroscopic quantity,pressure, is the average rate of change of momentum due to all the molecular collisions made on a unit area. The effects of pressure can be felt. The macroscopic point of view is not concerned with the action of individual molecules, and the force on a given unit area can be measured by using, e.g., a pressure gauge. These macroscopic observations are completely independent of the assumptions regarding the nature of matter. All the results of classical or macroscopic thermodynamics can however be derived from the microscopic and statistical study of matter. Homogeneous and heterogeneous Systems : A quantity of matter homogeneous throughout in chemical composition and physical structure is called a phase. Every substance can exist in any one of the three phases, viz, solid, liquid and gas. A system consisting of a single phase is called a homogeneous system, while a system consisting of more than one phase is known as a heterogeneous system. Thermodynamic Equilibrium: A system is said to existing a state of thermodynamic equilibrium when no change in any macroscopic property is registered, if the system is isolated from its surroundings. An isolated system always reaches in course of time a state of thermodynamic equilibrium and can never depart from it spontaneously. Therefore, there can be no spontaneous change in any macroscopic property if the system exists in an equilibrium state. Thermodynamics studies mainly the properties of physical systems that are found in equilibrium states. A system will be in a state of thermodynamic equilibrium, if the conditions for the following three types of equilibrium are satisfied: (a) Mechanical equilibrium (b) Chemical equilibrium (c) Thermal equilibrium In the absence of any unbalanced force within the system itself and also between the system and the surroundings, the system is said to be in a state of mechanical equilibrium. Ifan unbalanced force exists, either the system alone or both the system and the surroundings will undergo a change of state till mechanical equilibriumis attained. If there is no chemical reaction or transfer of matter from one part of the system another, such as diffusion or solution, the system is said to exist in a state of chemical equilibrium. When a system existing in mechanical and chemical equilibrium is separated from its surroundings by a diathermic wall(diathermic means which allows heat to flow and if there is no spontaneous change in any property of the system, the system is said to exist in a state o is not satisfied, the system will undergo a change of state till thermal equilibrium is restored. When the conditions for any one of the three types of equilibrium​ are not satisfied, a system is said to be in a non equilibrium state. If the non equilibrium of the state is due to an unbalanced force in the interior of a system or between the system and the surrounding, the pressure varies from one part of the system to another. There is no single pressure that refers to the system as a whole. Similarly, if the non equilibrium is because of the temperature of the system being different from that of its surroundings, there is a nonuniform temperature distribution set up within the system and there is no single temperature that stands for the system as a whole. It can thus be inferred that when the conditions for thermodynamic equilibrium are not satisfied, the states passed through by a system cannot be described by thermodynamic properties which represent the system as a whole. 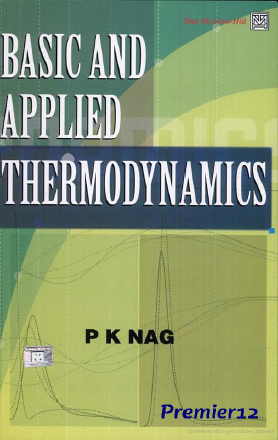 Thermodynamic properties are the macroscopic coordinates defined for, and significant to, only thermodynamic equilibrium states. 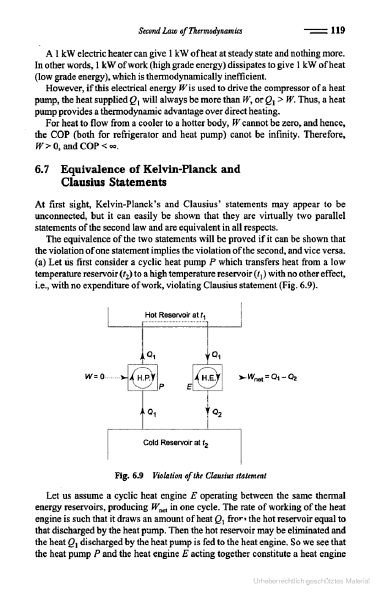 Both classical and statistical thermodynamics study mainly the equilibrium states of a system. Zeroth Law of Thermodynamics : The property which distinguishes thermodynamics from other sciences is temperature. One might that temperature bears as important a relation to thermodynamics as force does to statics or velocity does to dynamics. Tempera- ture is associated with the ability to distinguish hot from cold. When two bodies at different temperatures are brought into contact, after some time they attain a common temperature and are then said to exist in thermal equilibrium. When a body A is in thermal equilibrium with a body B, and also separately with a body C, then B and C will be in thermal equilibrium with each other. This is known as the zeroth law of thermodynamics. It is the basis of temperature measurement. In order to obtain a quantitative measure of temperature, a reference body is used, and a certain physical characteristic of this body which changes with temperature is selected. The changes in the selected characteristic may be taken as an indication of change in temperature. The selected characteristic is called the thermometric property, and the reference body which is used in the determination of temperature is called the thermometer. A very common thermometer. consists of a small amount of mercury in an evacuated capillary tube. In this case the extension of the mercury in the tube is used as the thermometric property There are five different kinds of thermometer, each with its own thermometric property. A closed system and its surroundings can interact in two ways: (a) by work transfer, and (b) by heat transfer. These may be called energy interactions and these bring about changes in the properties of the system. 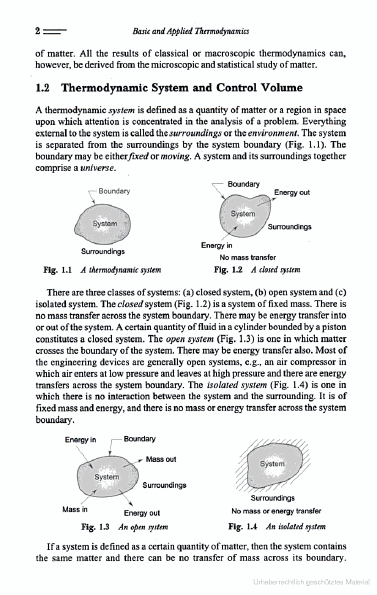 Thermodynamics mainly studies these energy interactions and the associated property changes of the system. Work Transfer : Work is one of the basic modes of energy transfer. In mechanics the action of a force on a moving body is identified as work. A force is a means of transmitting an effect from one body to another. But a force itself never produces a physical effect except when coupled with motion and hence it a is not a form of energy. An effect such as the raising of a weight through a certain distance can be performed by using a small force through a large distance or a large force through a small distance. The product of force and distance is the same to accomplish the same effect. In mechanics work is defined as: The work is done by a force as it acts upon a body moving in the direction of the force. The action of a force through a distance(or of a torque through an angle) is called mechanical work since other forms of work can be identified, as discussed later. The product of the force and the distance moved parallel to the force is the magnitude of mechanical work. 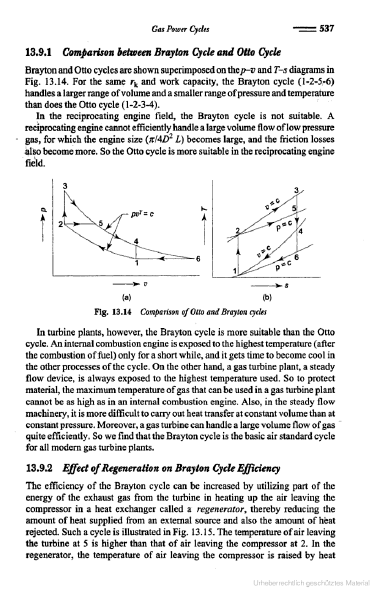 In thermodynamics, work transfer is considered as occurring between the system and the surroundings. Work is said to be done by a system if the sole on things external to the system can be reduced to the raising of a weight The weight may not actually be raised, but the net effect external to the system would be the raising of e weight. Let us consider the battery and the motor in as a system.